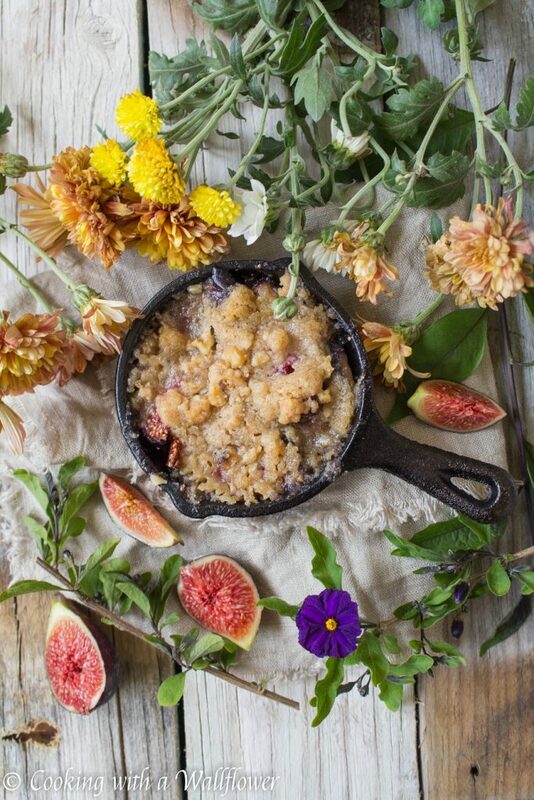 Caramelized fresh figs topped with a buttery crumble topping. 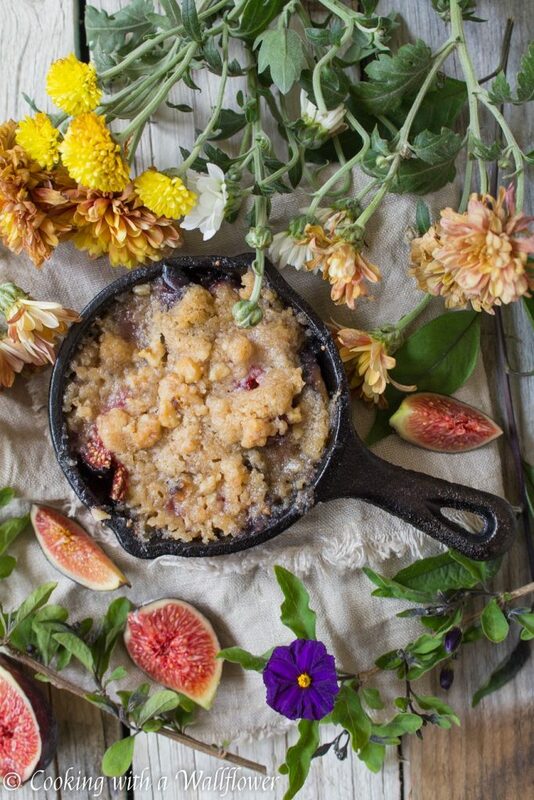 This maple fig streusel crumble for one is the perfect single serving sized dessert for early autumn. I hope you had a great weekend. It’s been a chaotic few days and I’m kind of ready for a low key day filled with absolutely no plans. Most of the time, that’s a lot harder to do than it sounds. I feel like I’m always running around doing something on my day off. But I’m excited that we’re really diving into fall. We’re quickly approaching the end of October, and it’s starting to feel like fall in San Francisco. The sunlight is starting to have a golden glow. The crisp air. The dry leaves on the ground. The sun setting earlier and earlier each day. <– Don’t love that. lol. But every day brings us closer to the holidays, which I honestly can’t wait for. Anyways, I thought today would be the perfect time to share with you a brand new dessert. Just down the block from my grandma’s house, one of her neighbors has a massive fig tree in his front yard. He doesn’t actually eat the figs, but he lets his neighbors come over any time to pick figs from his tree. Have you ever gone fig picking? It’s kind of a pain. lol. Maybe that’s why they cost a fortune to buy. The worst part of fig picking? The ground is suuper sticky. With all the sap and smushed ripe figs on the ground, it is super sticky to walk around underneath the tree. And once the bottom of your shoes are sticky, it takes forever for that stickiness to go away. And when you’re trying to pick figs from the branches, you have to be really careful. Otherwise, you might accidentally squish the fruit. See? A pain. But sooo good. 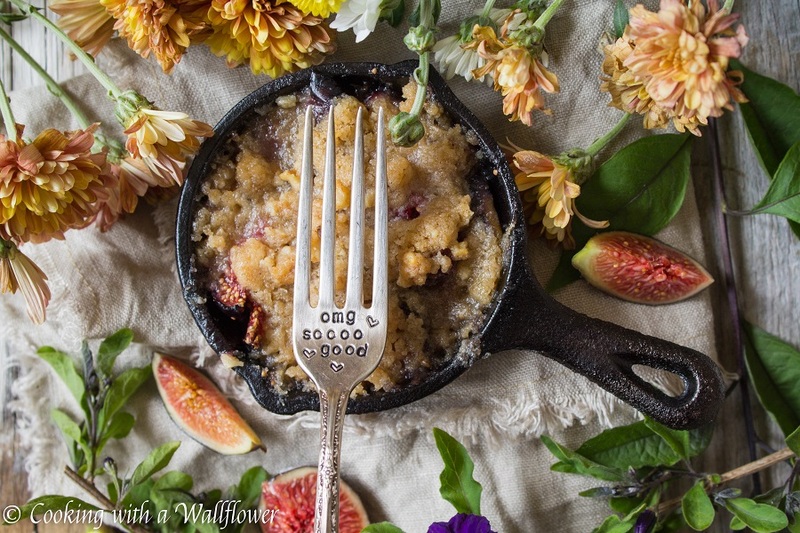 I’ve been wanting to make a fig dessert for awhile now. So I figured it’s about time that I do. I decided to start with a super small batch for those days when you want just a bite of dessert. Seriously, if I could have bite size everything, I’d be happy. Mostly because that means I can try more of everything. But! Even though this is a single serving recipe, you can easily double the batch in case you want to share. And for those of you who don’t have a tiny 3 inch cast iron skillet, you can definitely just make these in ramekins. They’ll be just as delicious. Just picture caramelized figs topped with a buttery, crumble topping. Every bite is bursting with buttery goodness. And you don’t have to feel guilty for overindulging since it’s individual serving size. Sooo good. 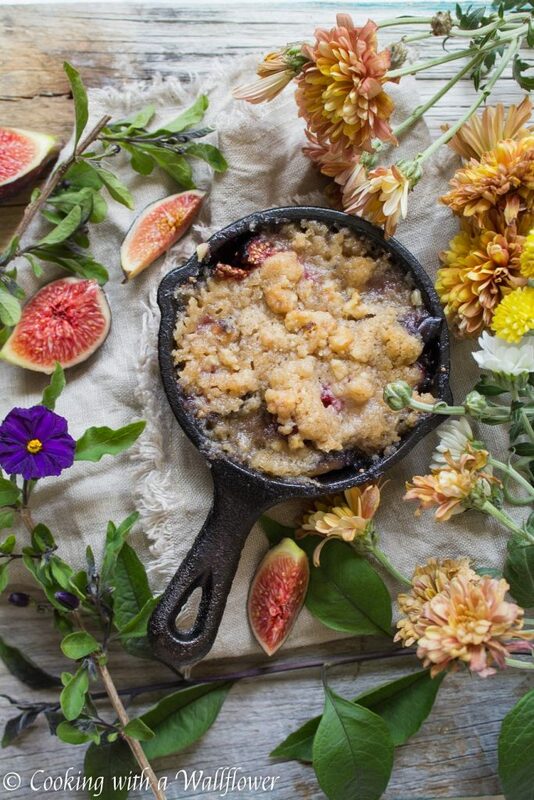 You can find this maple fig streusel crumble recipe over at Ask Anna where I contribute recipes monthly. 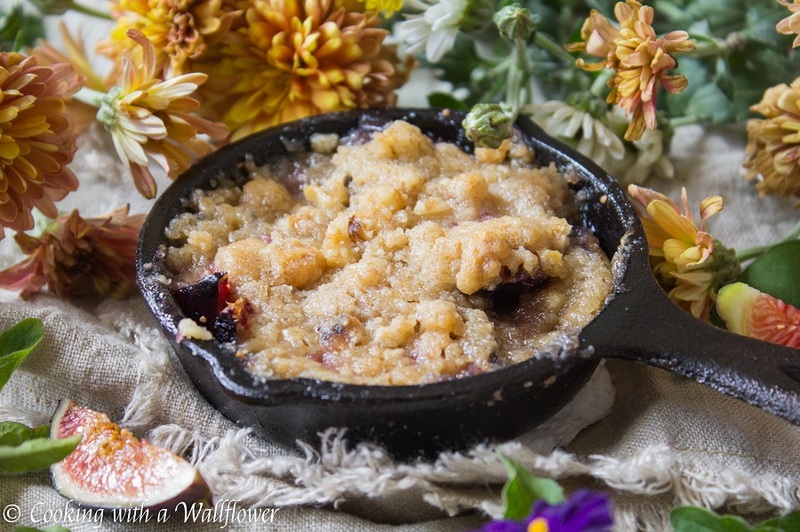 This entry was posted in Desserts, Fall Cravings, Quick and Easy, Recipes, Vegetarian and tagged dessert, fall recipe, fig, quick and easy, vegetarian. I have a lot of pears from our neighbor’s tree right now. I am going to try this with pears. Something else to make from my fig tree. Many thanx, Andrea. I adore figs. I have not seen any available locally but I am going to try this recipe if and when I find them.